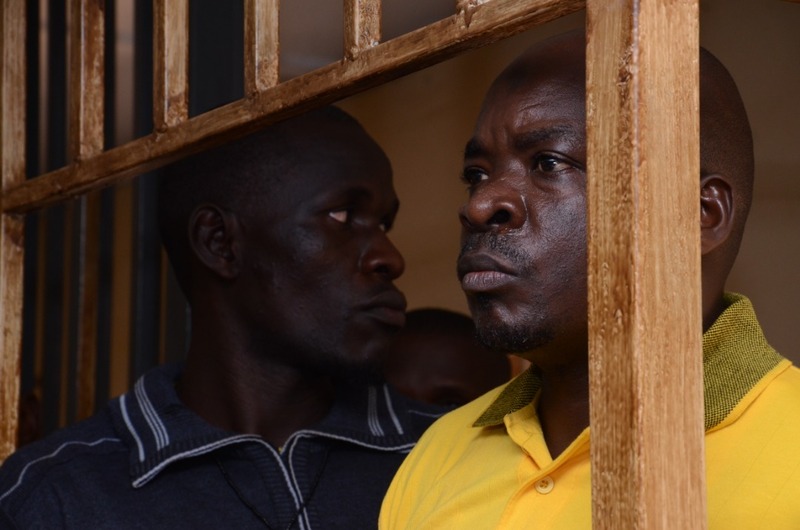 KAMPALA – Lawyers representing jailed Bodaboda 2010 patron Mr. Abdullah Kitatta have asked the Makidye-based army court to acquit him of charges of unlawful possession of firearms, ammunition and military gear for lack of prosecution evidence. While making his final submissions in the case before the General Court Martial, Mr. Kitatta’s lawyer. Mr. Shaban Sanywa, said that the prosecution’s case lacked tangible evidence to link Mr. Kitatta to the recovered golden pistol and an SMG rifle which were allegedly got on him at the time of his arrest in a hotel room at Vine Tea in Wakaliga. He also criticized the prosecution of failing to adduce evidence from an independent witness such as a staff of Vine Tea Hotel, footage from a surveillance camera, a ballistic report or an investigating officer who would indeed prove beyond reasonable doubt that Mr. Kitatta was indeed in possession of the guns. “My client’s (Kitatta) prosecution is cosmetic and intended at pleasing the public since Parliament had already singled him (Kitatta) out as one of the ‘untouchables’ have been close to former Inspector General of Police Kale Kayihura since none of the four prosecution witnesses testified to having searched and recovered the guns from him,” Mr. Sanywa submitted. Mr. Sanywa has now asked court chaired by Lt. Gen Andrew Gutti to discharge his client since the two alleged recovered guns were given to him by police as it was noted by jailed SIU commandant Nixon Agasirwe who offered to testify in Kitatta’s defence. He further noted that in absence of a search certificate tendered in court, neither Kitatta nor his 9 co-suspects who were also not present as security agencies carried out a search at their offices in Lubaga can be said to have been in possession of the guns and military uniforms which prosecution says is a monopoly of the defence forces. However, prosecution’s lead counsel Maj. Rapheal Mugisha, asked court for more time to enable him to organise his response to counter acquittal submissions made by the defence team. The case has been adjourned to April 23, for the prosecution to make its final submissions. The army prosecution states that on January 21, at Vine Hotel in Wakaliga, Nateete in Rubaga Division of Kampala District, Mr. Kitatta and his co-accused were found in possession of two sub-machine guns, three pistols, bullets and military uniforms without a valid firearms licence and which items are a monopoly of the defence forces. The suspects were arraigned before the military courts under Section 119 of the UPDF Act, which provides for prosecution of a person under military law.